I could certainly use dog trainer Cesar Millan. Our two-year old labradoodle Jessie is a bit of a mess. She often begs for food, and thinks nothing of resting on The Forbidden Couch. 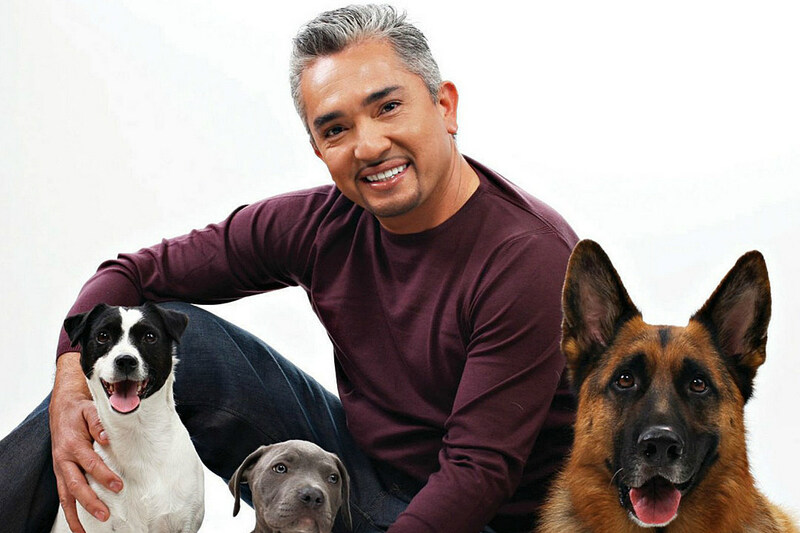 But compared to the dogs featured on Milan’s show, The Dog Whisperer, she’s Lassie. The Dog Whisperer is a unique reality-TV program. In each episode, we’re introduced to a new insane animal and its even more insane owners. Dogs with a wide variety of behavioral and disciplinary problems are featured. Before this show, I would never have believed a dog could have OCD (obsessive compulsive disorder). Millan interviews the owners, then instructs them on how to deal with the dog’s behaviour, using a combination of leadership, discipline and affection. The worst dogs are taken to Millan’s Dog Psychology Center, where presumably the animal shares with a therapist its childhood problems and the fact it just “can’t let go” of the doggie treats. What’s most impressive about Millan is how efficiently and professionally he interviews the owners, quickly assesses the situation, and in some cases, is able to immediately correct the problem. Dogs are often transformed right before the owner’s eyes. Doc whisperers are more commonly known as “senior technical writers”, but what’s in a name anyway? So if you want to be a great tech writer start whispering….